The Saudi national oil company Aramco has lately been seeking expansion outside of the kingdom and appears to be maneuvering to benefit from Xi's ambitious Belt and Road initiative. The deal follows the much more substantial $65bn in deals signed between the countries two years earlier and are part of MbS' efforts to diversify beyond his borders. Xi and MbS also spoke about combating extremism and joint counter terror efforts — an issue that's been met with increasingly critical coverage related to China's well known Muslim Uighur detention camps. 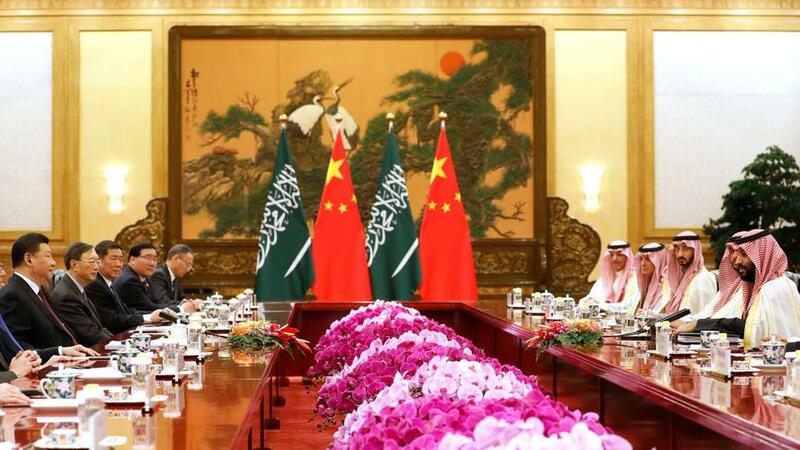 The Chinese and Saudi delegations during their summit in Beijing on Friday, via the AP. In total, Saudi Arabia signed 35 economic cooperation agreements with China worth $28bn at a joint investment forum during the MbS trip, Saudi state news agency SPA said, on a tour that also included participation of top Aramco executives. The planned site for the new refinery project is the coastal area near Panjin in China's northeast rustbelt province of Liaoning, an area seen as lagging in growth in recent years. On counter-extremism, MbS reportedly said, "China has the right to carry out anti-terrorism and de-extremization work for its national security," referencing the recent controversy over Beijing's general internal crackdown on its over 12 million Muslim population, mostly concentrated in Xinjiang province. MbS responded by noting Saudi Arabia’s relations with China dated back “a very long time in the past”. He said, “In the hundreds, even thousands, of years, the interactions between the sides have been friendly. Over such a long period of exchanges with China, we have never experienced any problems with China,” according to Reuters. 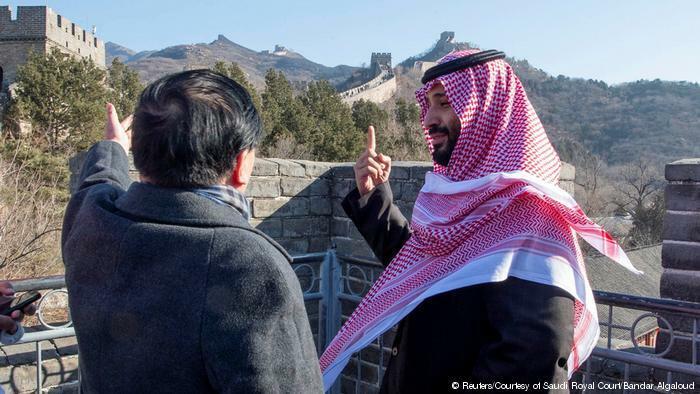 Related to this, and perhaps the more interesting aspect to the trip, is that cultural exchange appears to have been a key emphasis, given the Saudi Foreign Ministry announced after the Xi-MbS meeting on Friday that the kingdom has committed to implementing Chinese language programs in schools across the kingdom. The Foreign Ministry announced the effort via its official social media accounts, explaining the kingdom will now include "Chinese language [instruction] as part of KSA's educational curriculum in all schools and universities." The statement emphasized the initiative will "contribute to increasing trade and cultural ties between the two nations." Meanwhile Saudi Arabia and China appear to be shoring up ties as both feel the heat of US pressures and isolation: China, amidst an ongoing trade war with the US, and Saudi Arabia after the killing of journalist Jamal Khashoggi last year.